Horror, according to Webster: Something that causes feelings of fear, dread, and shock. Someone should have enlightened the production team of this definition prior to their exploring the “re-imaging” (not remake) of this staple of the horror film genre. I would not expect real horror in this film. You will get a Scary Movie version of cheesy horror. 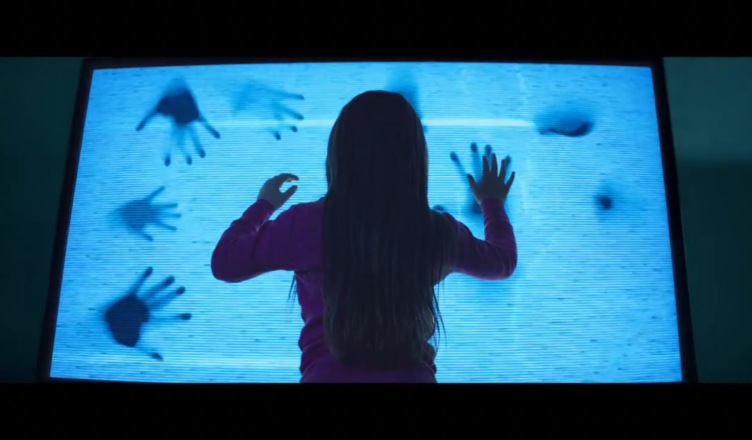 Everything in the 2015 version of Poltergeist is topsy-turvy from its 1982 predecessor. The Freelings (1982) give way to the Bowens (2015). Fear, suspense, and horror give way to one-liners and gratuitous special effects. It is in this 2015 version that Griffin (the Bobby from 1982), the son, is the hero, not the big strong dad. In fact, the 1982 father Steve was a man’s man while the 2015 father Eric is a slacker/jokester. Can Sam Rockwell be serious in a role? I don’t think I’ve ever seen that. I first saw Rockwell in A Midsummer Night’s Dream as Francis Flute. He was dressed like a woman and faking a bad falsetto. I won’t ruin it for you, but I must say Griffin did me proud, one of the few highlights of the film. Another highlight was Kennedi Clements (Madison “Maddy” Bowen) who was so much like Heather O’Rourke (Carol Anne Freeling), despite the brunette hair, that is makes you do a double-check. It was uncanny the dialogue delivery and the big blue eyes. Both are innocent yet possessed such an old soul. Way to go, Lil Lady! I was surprised to see Jane Adams as Dr. Brooke Powell, the lead research at the Department of Paranormal Studies. I really enjoyed Adams on HBO’s “Hung” series. I found it hard to sit through this version of Poltergeist without Tangina. Jared Harris (Carrigan Burke) was a foolish character and not very convincing. His character made a mockery of the best quote of the film, “ This house is clear” became “This house is clean.” Cheese, cheese, cheese. Poltergeist 2015 is a splicing experiment between Poltergeist 1982, Insidious, A Nightmare of Elm Street: Dream Warriors, and Harry Potter (yes, I said Harry Potter). I saw a whomping willow dangle a kid to and fro, another kid dragged to the dark side, and a long glimpse in the dark side itself. Hence, I labeled this film as a re-imaging rather than a remake. The film is too fast paced. The viewer does not have an opportunity to get to know the family nor their situation before the incidents begin. Suddenly one after the other and sometimes all layered together are several paranormal activities and special effects. If that wasn’t bad enough, the story just didn’t flow. The story was so cheesy that even an extra large stuffed crust pizza couldn’t hold it all. 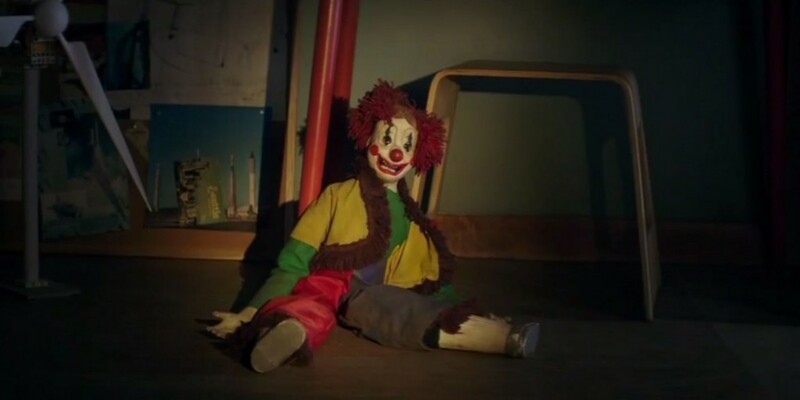 Again the studios slapped the label of 3D on Poltergeist 2015, but only one time outside of the production company slides was this technique used. I understand that this format is needed especially for international sales, but can we not have more 3D effects in 3D films. I want skeleton hands reaching out for me, slush mud flung in my face, and leaves from the tree whirling about me. I’ve said it once already this week, but good concept, poor execution. I cannot recommend this film. However, I’m sure intrigue will make it successful for at least the first two weeks. This entry was posted on Friday, May 22nd, 2015 at 10:45 am	and is filed under Film, News. You can follow any responses to this entry through the RSS 2.0 feed. You can skip to the end and leave a response. Pinging is currently not allowed. « WWE: NXT TakeOver: Unstoppable Recap!! Hey, look, the Monkees. They were a huge influence on the Beatles.